Homes for Sale in Bluffdale! I'm am a local REALTOR and specialize in your local community in Bluffdale. I know your local home market, and am an expert in marketing your home, or helping you negotiate a home you're buying. Call me today and let me save you a lot of time, money, and frustration in the process of selling or buying your next home! View current homes for sale in Bluffdale below, or click on Search above to look in other areas. "Incredible three bedroom condo! Fantastic location on the Bluffs in a quaint hidden little village surrounded by trees with amazing views! Immaculate condition with upgrades! 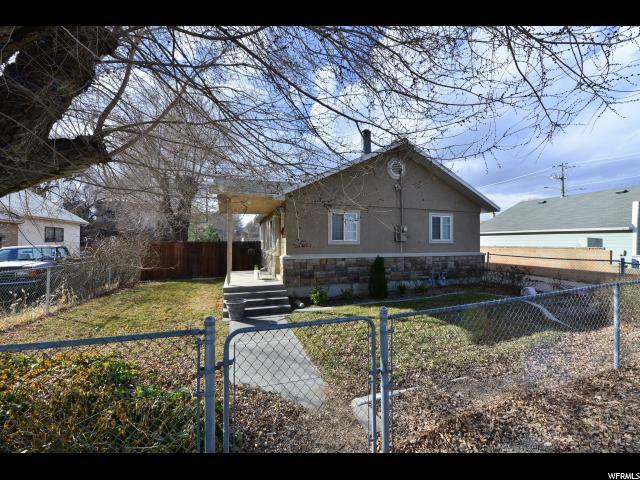 Perfect starter home or investment property within a short distance of Bangerter and Redwood. Sq/ft as per county records. Buyer and buyer's agent to verify all info. " "Cobalt Village - 230 - Unit B. ESTIMATED COMPLETION IN SEP 2019. Quartz countertops, laminate flooring, stainless steel appliances (including fridge), and more are all included in the price of this home! This charming townhome features two bedrooms, two bathrooms, and a spacious main living area. Upstairs, you will find the master bedroom and bathroom with a large walk in closet, a living room and kitchen with craftsman-style cabinets and stainless steel appliances an. On the main level, there is one bedroom and a full bathroom. *Photos: Exterior and interior photos of the home are of the same floorplan but are of a different home. The actual home may differ in color, materials, or options. Call today to learn more about this home." "Cobalt Village - 220 - Unit B. ESTIMATED COMPLETION IN SEP/OCT 2019. Quartz countertops, laminate flooring, stainless steel appliances (including fridge), and more are all included in the price of this home! This charming townhome features two bedrooms, two bathrooms, and a spacious main living area. Upstairs, you will find the master bedroom and bathroom with a large walk in closet, a living room and kitchen with craftsman-style cabinets and stainless steel appliances an. On the main level, there is one bedroom and a full bathroom. *Photos: Exterior and interior photos of the home are of the same floorplan but are of a different home. The actual home may differ in color, materials, or options. Call today to learn more about this home." "Cobalt Village - 216 - Unit B. ESTIMATED COMPLETION IN SEP/OCT 2019. Quartz countertops, laminate flooring, stainless steel appliances (including fridge), and more are all included in the price of this home! This charming townhome features two bedrooms, two bathrooms, and a spacious main living area. Upstairs, you will find the master bedroom and bathroom with a large walk in closet, a living room and kitchen with craftsman-style cabinets and stainless steel appliances an. On the main level, there is one bedroom and a full bathroom. *Photos: Exterior and interior photos of the home are of the same floorplan but are of a different home. The actual home may differ in color, materials, or options. Call today to learn more about this home." "Cobalt Village - 218 - Unit B. ESTIMATED COMPLETION IN SEP/OCT 2019. Quartz countertops, laminate flooring, stainless steel appliances (including fridge), and more are all included in the price of this home! This charming townhome features two bedrooms, two bathrooms, and a spacious main living area. Upstairs, you will find the master bedroom and bathroom with a large walk in closet, a living room and kitchen with craftsman-style cabinets and stainless steel appliances an. On the main level, there is one bedroom and a full bathroom. *Photos: Exterior and interior photos of the home are of the same floorplan but are of a different home. The actual home may differ in color, materials, or options. Call today to learn more about this home." "Cobalt Village - 232 - Unit B. ESTIMATED COMPLETION IN SEP/OCT 2019. Quartz countertops, laminate flooring, stainless steel appliances (including fridge), and more are all included in the price of this home! This charming townhome features two bedrooms, two bathrooms, and a spacious main living area. Upstairs, you will find the master bedroom and bathroom with a large walk in closet, a living room and kitchen with craftsman-style cabinets and stainless steel appliances an. On the main level, there is one bedroom and a full bathroom. *Photos: Exterior and interior photos of the home are of the same floorplan but are of a different home. The actual home may differ in color, materials, or options. Call today to learn more about this home." "Cobalt Village - 223 - Unit B. ESTIMATED COMPLETION IN NOV/DEC 2019. Quartz countertops, laminate flooring, stainless steel appliances (including fridge), and more are all included in the price of this home! This charming townhome features two bedrooms, two bathrooms, and a spacious main living area. Upstairs, you will find the master bedroom and bathroom with a large walk in closet, a living room and kitchen with craftsman-style cabinets and stainless steel appliances an. On the main level, there is one bedroom and a full bathroom. *Photos: Exterior and interior photos of the home are of the same floorplan but are of a different home. The actual home may differ in color, materials, or options. Call today to learn more about this home." "Property must be sold with Parcel#33-10-177-005, 14402 S 1700 W Bluffdale, UT - Land lot. - These properties can now be sold separately and special financing is available. " "Cobalt Village - 207 - Unit A2. ESTIMATED COMPLETION IN MID APRIL. Quartz countertops, laminate flooring, stainless steel appliances (including fridge), and more are all included in the price of this home! This charming townhome features three bedrooms, two bathrooms, and a spacious main living area. On the main floor, you will find a living room, semi-formal dining area, and kitchen with white craftsman-style cabinets and stainless steel appliances. Upstairs, there are three bedrooms, including the master, which features an attached master bathroom and large walk-in closet. Also upstairs is a second full bathroom and laundry closet that fits a full-size washer and dryer. *Photos: Exterior and interior photos of the home are of the same floorplan but are of a different home. The actual home may differ in color, materials, or options. Call today to learn more about this home." "Cobalt Village - 236- Unit A2 - Estimated completion July. Quartz countertops, laminate flooring (color selections can still be made), stainless steel appliances (including fridge), and more are all included in the price of this home! This charming townhome features three bedrooms, two bathrooms, and a spacious main living area and full unfinished basement. On the main floor, you will find a living room, semi-formal dining area, and kitchen with craftsman-style cabinets and stainless steel appliances. Upstairs, there are three bedrooms, including the master, which features an attached master bathroom and large walk-in closet. Also upstairs is a second full bathroom and laundry closet that fits a full-size washer and dryer. 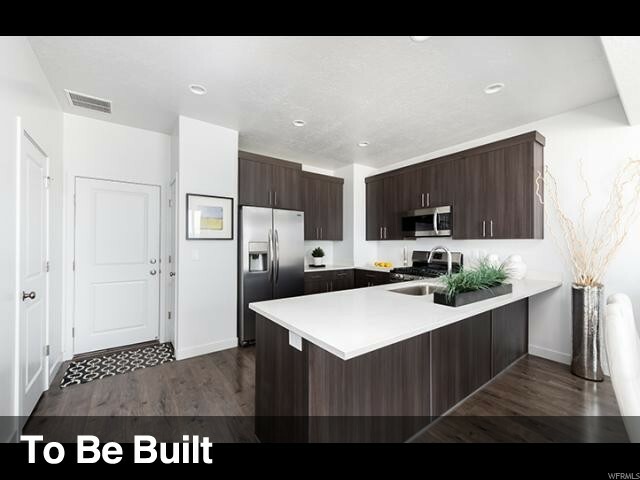 *Photos: Exterior and interior photos of the home are of the same floorplan bu"
"Cobalt Village - 237 - Unit A2 - Estimated completion July. Quartz countertops, laminate flooring (color selections can still be made), stainless steel appliances (including fridge), and more are all included in the price of this home! This charming townhome features three bedrooms, two bathrooms, and a spacious main living area and full unfinished basement. On the main floor, you will find a living room, semi-formal dining area, and kitchen with craftsman-style cabinets and stainless steel appliances. Upstairs, there are three bedrooms, including the master, which features an attached master bathroom and large walk-in closet. Also upstairs is a second full bathroom and laundry closet that fits a full-size washer and dryer. *Photos: Exterior and interior photos of the home are of the same floorplan but are of a different home. The actual home may differ in color, materials, or options. Call today to learn more about this home." " Cobalt Village - 238 - Unit A2. Quartz countertops, laminate flooring, stainless steel appliances (including fridge), and more are all included in the price of this home! This charming townhome features three bedrooms, two bathrooms, and a spacious main living area. On the main floor, you will find a living room, semi-formal dining area, and kitchen with craftsman-style cabinets and stainless steel appliances. Upstairs, there are three bedrooms, including the master, which features an attached master bathroom and large walk-in closet. Also upstairs is a second full bathroom and laundry closet that fits a full-size washer and dryer. *Photos: Exterior and interior photos of the home are of the same floorplan but are of a different home. The actual home may differ in color, materials, or options. Call today to learn more about this home." 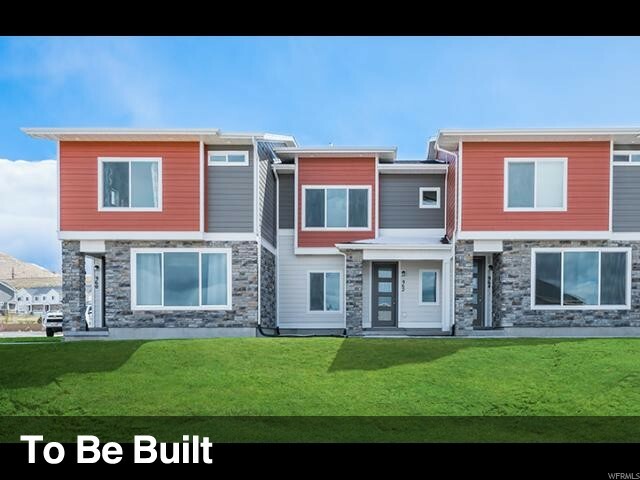 "Brand New Luxury Urban Town Homes showcasing solar panels, attic fans (for a more efficient energy bill) high speed internet and the latest innovative floor plan designs. Our Jefferson floor plan features 3 bedroom/bath suites, Deck on the second level, Master bedroom vaulted with Double Vanity Master Bath, ceilings, wall of windows, stainless steel appliances, and standard features that are other builders' upgrades. (we include blinds throughout with purchase). 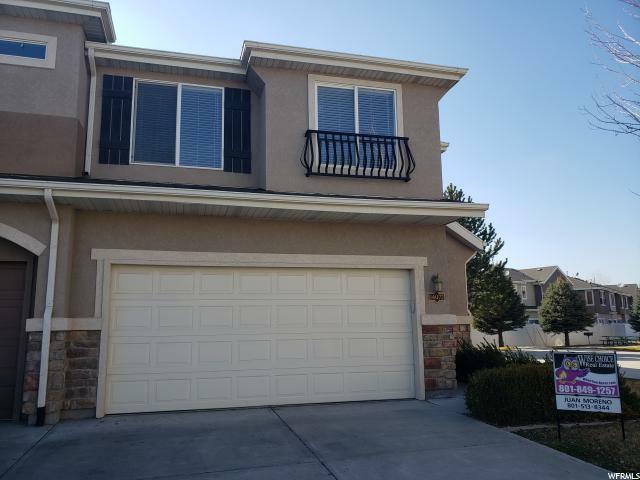 Incredible location between Utah and SLC counties! Note: We currently offer a 5-year Home Warranty with purchase. Slight variances in the floor plans may occur and features may change without notice. Owner is a licensed Real Estate Agent"
"Cobalt Village - 212 - Unit A2. Quartz countertops, laminate flooring (color selections can still be made), stainless steel appliances (including fridge), and more are all included in the price of this home! This charming townhome features three bedrooms, two bathrooms, and a spacious main living area and full unfinished basement. On the main floor, you will find a living room, semi-formal dining area, and kitchen with craftsman-style cabinets and stainless steel appliances. Upstairs, there are three bedrooms, including the master, which features an attached master bathroom and large walk-in closet. Also upstairs is a second full bathroom and laundry closet that fits a full-size washer and dryer. *Photos: Exterior and interior photos of the home are of the same floorplan but are of a different home. The actual home may differ in color, materials, or options. Call today to learn more about this home." "Cobalt Village - 210 - Unit A1 - End Townhome! Quartz countertops, laminate flooring (color selections can still be made), stainless steel appliances (including fridge), and more are all included in the price of this home! 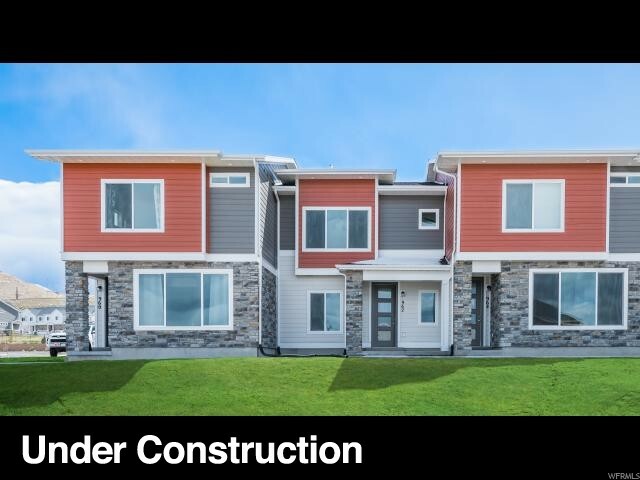 This charming townhome features three bedrooms, two bathrooms, and a spacious main living area and full unfinished basement. On the main floor, you will find a living room, semi-formal dining area, and kitchen with craftsman-style cabinets and stainless steel appliances. Upstairs, there are three bedrooms, including the master, which features an attached master bathroom and large walk-in closet. Also upstairs is a second full bathroom and laundry closet that fits a full-size washer and dryer. *Photos: Exterior and interior photos of the home are of the same floorplan but are of a different home. The actual home may differ in color, materials, or options. Call today to learn more about this home." 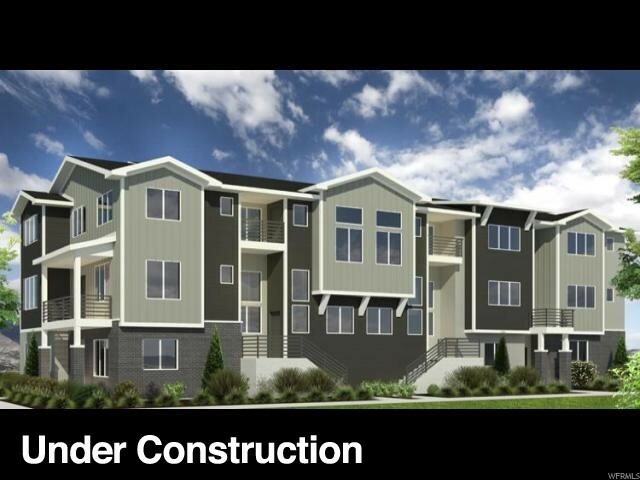 "Cobalt Village - 214 - Unit A1 - End Townhome! Quartz countertops, laminate flooring (color selections can still be made), stainless steel appliances (including fridge), and more are all included in the price of this home! This charming townhome features three bedrooms, two bathrooms, and a spacious main living area and full unfinished basement. On the main floor, you will find a living room, semi-formal dining area, and kitchen with craftsman-style cabinets and stainless steel appliances. Upstairs, there are three bedrooms, including the master, which features an attached master bathroom and large walk-in closet. Also upstairs is a second full bathroom and laundry closet that fits a full-size washer and dryer. *Photos: Exterior and interior photos of the home are of the same floorplan but are of a different home. The actual home may differ in color, materials, or options. Call today to learn more about this home." 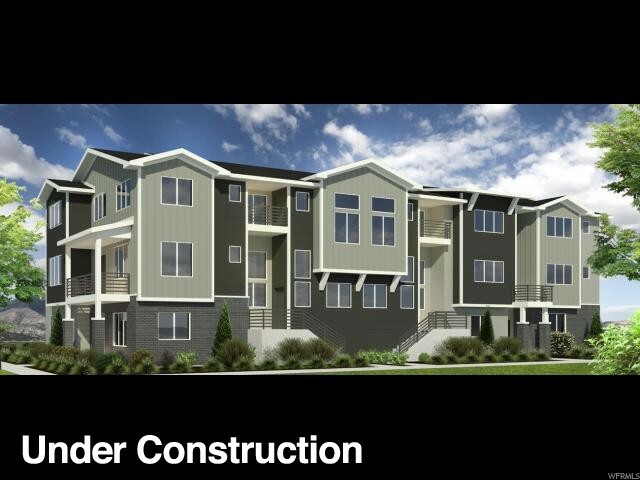 "Cobalt Village - 229 - Unit A1 - End Townhome! Estimated completion September. Quartz countertops, laminate flooring (color selections can still be made), stainless steel appliances (including fridge), and more are all included in the price of this home! This charming townhome features three bedrooms, two bathrooms, and a spacious main living area and full unfinished basement. On the main floor, you will find a living room, semi-formal dining area, and kitchen with craftsman-style cabinets and stainless steel appliances. Upstairs, there are three bedrooms, including the master, which features an attached master bathroom and large walk-in closet. Also upstairs is a second full bathroom and laundry closet that fits a full-size washer and dryer. *Photos: Exterior and interior photos of the home are of the same floorplan but are of a different home. The actual home may differ in color, materials, or options. Call today to learn more about this home." "Cobalt Village - 217 - Unit A2 - Estimated completion September. Quartz countertops, laminate flooring (color selections can still be made), stainless steel appliances (including fridge), and more are all included in the price of this home! This charming townhome features three bedrooms, two bathrooms, and a spacious main living area and full unfinished basement. On the main floor, you will find a living room, semi-formal dining area, and kitchen with craftsman-style cabinets and stainless steel appliances. Upstairs, there are three bedrooms, including the master, which features an attached master bathroom and large walk-in closet. Also upstairs is a second full bathroom and laundry closet that fits a full-size washer and dryer. *Photos: Exterior and interior photos of the home are of the same floorplan but are of a different home. The actual home may differ in color, materials, or options. Call today to learn more about this home." "Cobalt Village - 231 - Unit A2. ESTIMATED COMPLETION: SEPTEMBER 2019. Quartz countertops, laminate flooring, stainless steel appliances (including fridge), and more are all included in the price of this home! This charming townhome features three bedrooms, two bathrooms, and a spacious main living area. On the main floor, you will find a living room, semi-formal dining area, and kitchen with craftsman-style cabinets and stainless steel appliances. Upstairs, there are three bedrooms, including the master, which features an attached master bathroom and large walk-in closet. Also upstairs is a second full bathroom and laundry closet that fits a full-size washer and dryer. *Photos: Exterior and interior photos of the home are of the same floorplan but are of a different home. The actual home may differ in color, materials, or options. Call today to learn more about this home." "Amazing location! 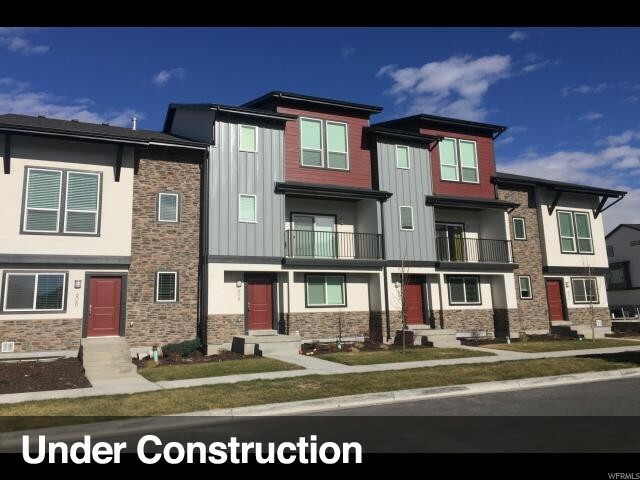 Nestled right next to Bangerter and Redwood Road this neighborhood is centrally located and perfect for commuters from both Salt Lake and Utah counties! This is an end unit and boasts new paint and only year old carpet. Come take a look before this is gone! There hasn't been another unit sold in this neighborhood in almost a year! HOA information to be verified by buyer. " 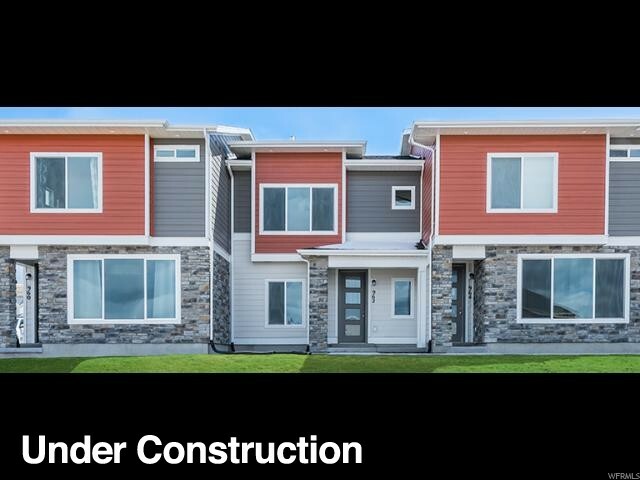 "Brand new townhomes in Day Ranch Bluffdale! Creative, modern space with features from our single family homes! 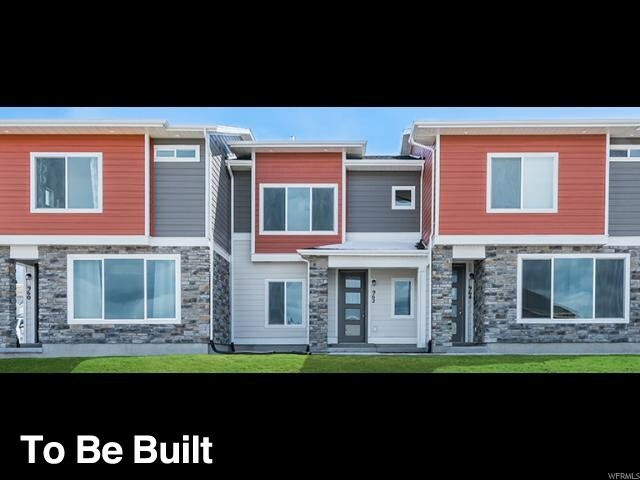 Our Birkhall plan is a 3 story charmer: 2 car garage, 9 ft ceiling on main, stainless steel appliances with gas stove, kitchen island, gorgeous white cabinets, wood laminate floors, covered deck off of great room and dining nook! 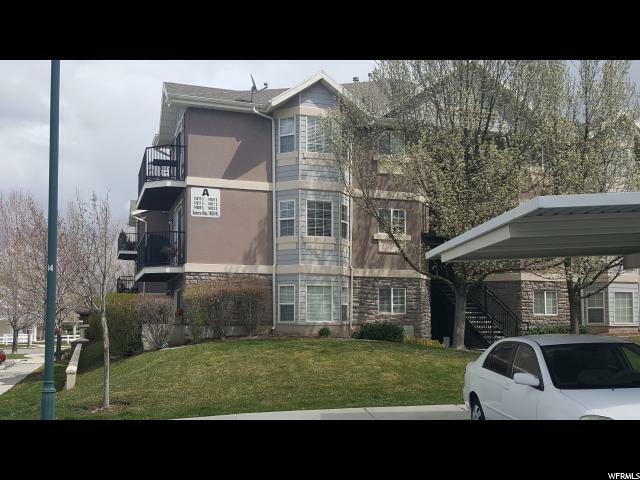 Located close to 2 large parks, future elementary and middle school, 5 minutes to Silicon Slopes and quick access to I15!"